Yin Yoga is the gentle application of tension and compression to the body which induces a healthy phase change in the tissue. The practice is characterised by longer, static holds, using floor-based asana for muscle relaxation and myofascial release, allowing for a meditative focus. They key within the practice of Yin Yoga is the art of propping to increase or decrease physical stress upon the tissue, or to make the asana comfortable / accessible. Targeting the connective tissue, as opposed to the muscle rhythm and repetition, Yin Yoga is specifically beneficial for the overall health of the tissue in the body. Yin Yoga works with the physical, mental, emotional and energetic dimensions of the body and has a multitude of benefits for body, mind and spirit. Fascia connective tissue encapsulates muscle fibres, bones, organs, nerves and blood vessels. 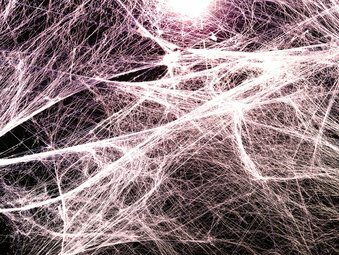 As you move, fascia gives the body resilience and acts as a natural force transmission. Healthy fascia promotes both flexibility and strength within the body. 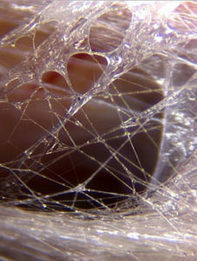 Fascia connective tissue could be considered the living energy web acting as a continuous matrix of tension, known as tensegrity. Fascia is one of the most integral components of the human body and can be considered by some anatomists as a living organ. Fascia can be considered the inner scaffolding of the body’s structure which protects, binds, supports and insulates. Fill out the form below to claim your Free Webinar.